Every department, every employee within a healthcare organization has an impact on patient satisfaction. One of the groups that have an enormous impact on patient satisfaction is your Support Services Team and Call / Dispatch Center. Unfortunately, at times, these teams may fall short through no fault of their own. While designed to gain efficiencies and productivity it is often possible that Call Centers just can’t meet everyone’s expectations. With the number of calls received, the human error factor, and the lack of a strong infrastructure these individuals face several challenges. All these challenges can lead to unhappy employees, high call center turnover, and as a result an unhappy and dissatisfied patient. How can you improve the impact of your support services team on patient satisfaction? One recommended solution is to automate your call center by implementing a Virtual Service Center. With an automation comes increased productivity and efficiency but also positive patient satisfaction. 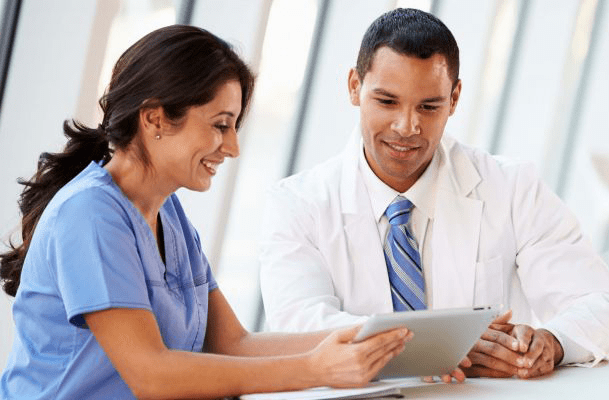 These are just a few of the ways a Virtual Service Center can improve your patient satisfaction levels. Eliminate Long Hold Times: Hang-ups and unhappy nurses are the results of long hold times. Ultimately requests for equipment and/or tasks are delayed which negatively impact patient satisfaction. A Virtual Service Center allows for requests to be accepted and routed quickly with no wait time at all. Reduce Staff Turnover: Call Centers have substantial turnover which means constant retraining of staff. During staff transitions, orders are often routed incorrectly which leads to a delay in equipment, supplies, and corrections. Ensure proper routing every time so requests aren’t lost, and patients get the equipment they need for proper care. Automate Notifications & Escalations: Team members are often very busy and may forget or delay notifying requestors of the status of their request. In addition, escalations may not be timely or occur at all. With a Virtual Service Center, manual efforts are now automated so nothing slips through the cracks. Requesters are notified with status updates and escalations occur automatically based on priority levels determined by the organization. Nurses and patients now get the equipment or services they need improving care and satisfaction. Closing the Loop: Call Centers receive and dispatch initial requests but once the request is complete or delivered often the requests are forgotten or not closed. This means you can’t track turnaround times which is critical to patient satisfaction. With a Virtual Service Center, you can track through to completion making sure every patient gets the items needed for their care. Reduce Inventory Levels: When requests are delayed or lost, nurses begin to hoard and store equipment. This causes poor equipment management, increases inventory, and results in poor patient care. With an automated solution, nurses have confidence in turnaround times, hoarding stops, and patient care improves. A Virtual Service Center program allows a hospital to increase efficiencies with smart-routing and notifications, reduce turnaround times for resolution, decrease labor cost and creates a better user experience for caregivers. Nurses and other caregivers no longer have to spend valuable hours searching for or hoarding equipment. They now refocus on their main goal, providing exceptional patient care for optimal patient satisfaction.